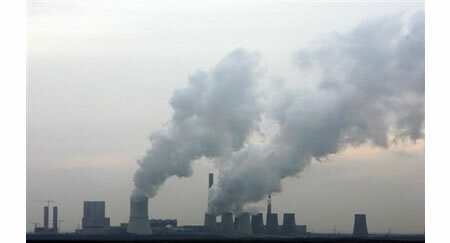 Carbon trading is sometimes seen as a better approach than a direct carbon tax or direct regulation. By solely aiming at the cap it avoids the consequences and compromises that often accompany those other methods. It can be cheaper and politically preferable for existing industries because the initial allocation of allowances is often allocated with a grandfathering provision where rights are issued in proportion to historical emissions. Germany is on its way to earn more than $1.55 billion this year in the sale of carbon rights to 12,000 utilities and energy-intensive plants across the continent. Climate change has become firmly established as an accelerant to many of the factors which have put one in eight of the world’s birds at risk of extinction, 2008 IUCN Bird Red List warns that long-term droughts and extreme weather puts additional stress on key habitats. 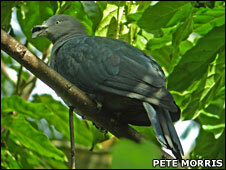 The assessment lists 1,226 species as threatened with extinction – one-in-eight of all bird species. In the revised Red List, eight species have been added to the “critically endangered” category. One of them is the Floreana mockingbird (Nesomimus trifasciatus), which is confined to two islets in the Galapagos Islands has reduced from 150 in 1960 to less than 60 today. Another example of a species being affected by shifts in the climate was the akekee (Loxops caeruleirostris), a Hawaiian honey-creeper. It’s being negatively impacted by prolonged heavy rain causing nesting failures, but they are extremely threatened by introduced diseases, which are carried by invasive mosquitoes. The mosquitoes have been restricted to lower altitudes, so the birds do best at heights above which the mosquitoes can go and pass on avian malaria. But because of climate change, the temperature zones are shifting. It is getting warmer at higher altitudes, so the mosquitoes can now move higher. This is eliminating the mosquito-free zone that the birds used to occupy. The demand for precious metals never will diminish; neither will the amount of people who hunt for these precious metals. There are a new breed of treasure hunters who hunt for precious metals in dumpsters and other wastelands; they are called the urban miners. Urban mining simply means scavenging through the scrap metal in old electronic products in search of such gems as iridium and gold, and it is a growth industry around the world as metal prices skyrocket. A ton of ore from a gold mine produces just 5 grams (0.18 ounce) of gold on average, whereas a ton of discarded mobile phones can yield 150 grams (5.3 ounce) or more, according to a study by Yokohama Metal Co Ltd, another recycling firm. The same volume of discarded mobile phones also contains around 100 kg (220 lb) of copper and 3 kg (6.6 lb) of silver, among other metals. Recycling has gained in importance as metals prices hit record highs. Gold is trading at around $890 an ounce, after hitting a historic high of $1,030.80 in March. The materials recovered are reused in new electronics parts and the gold and other precious metals are melted down and sold as ingots to jewelers and investors as well as back to manufacturers who use gold in the circuit boards of mobile phones because gold conducts electricity even better than copper. 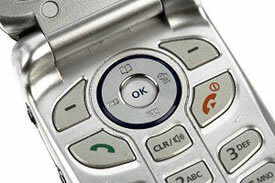 Japan’s 128 million populations use their cell phones for an average of two years and eight months. That’s a lot of cell phone phones discarded every year, yet only 10-20 percent are recycled as people often opt to store them in their cupboards due to concerns about the personal data on their phones , said Yoshinori Yajima, a director at Japan’s Ministry of Economy, Trade and Industry. Just 558 tons of old phones were collected for recycling in the year to March 2007, down a third from three years earlier, industry figures show. 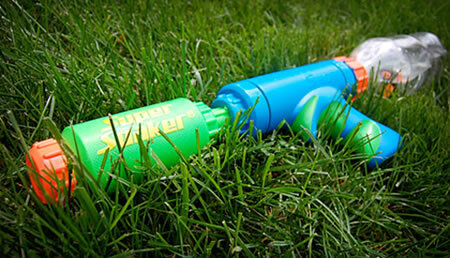 The Super Soaker is the ultimate weapon in water warfare; after all there is no better way to beat the immense heat this summer than annihilating your lawn intruders. The only downside is that like with all water guns you eventually have to refill it, which can leave you vulnerable to soakings from the enemy. But instead of coming with a water reservoir tank, the Super Soaker Bottle Shot allows you to screw on a standard plastic bottle instead. 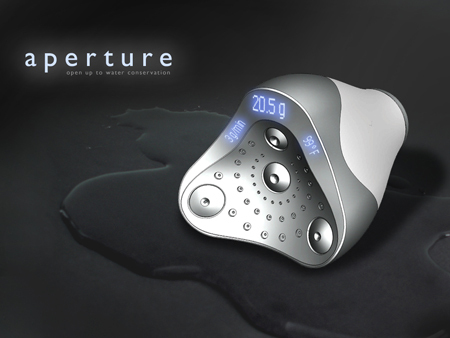 In fact it can even accommodate a 2 liter pop bottle allowing you to reuse them as back up liquid ammunition for when you’re in the heat of battle. The downside is that the Super Soaker Bottle Shot only works on a pump by pump basis. So every time you pump the handle, it fires a 20 foot stream of water.